As part of the Gateshead SSP we will be participating in a variety of sports festivals and events. This will include Gymnastics, Athletics, Kwik Cricket, Multi Skills. 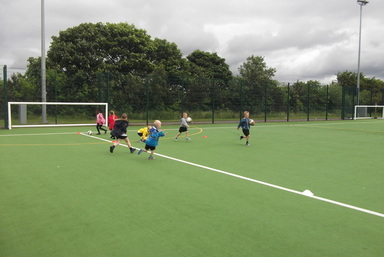 Over the course of the school year we have a number of after school clubs provided by Grassroots; there’s Football, Gymnastics and Summer Sports. Year 5 attend swimming lessons all year round and participate in the Gala in the summer term. From January 2019 we started an extra swimming session each week which will be attended as follows: Year 4 Autumn Term, Year 3 Spring, Year 2 Summer 1 and Year 6 pupils will be assessed and those who are unable to swim for 25m (KS2 standard) receive extra swimming lessons. As of July 2018, 77% of our Year 6 pupils were able to swim confidently for 25 metres.